Academic Year - 2009 – 2010: Parita Shah secured First, Ms. Monali Ingole secured Fifth position in University Merit List. Academic Year - 2010 – 2011: Shubhanghi Lokhande secured Second, Ms. Vrushali Bangale secured Third position in University Merit List. Academic Year - 2011– 2012: Nitesh Rahtod secured Second position in University Merit List. Academic Year - 2012–2013: Megha Joshi secured third position in University Merit List. 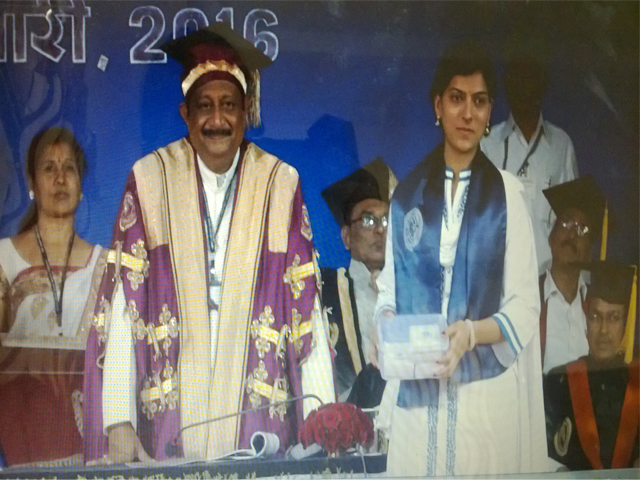 Academic Year - 2014-2015: Ms. Rashmi Pande secured first position in University Merit List and bagged three gold medals. Moot Court Competition - Megha Joshi, Tejshri Khot and Chaitali Kulkarni secured 2nd Rank in State Level Moot Court Competition held at SNG Law College, Akola. Power Point Presentation Competition - Neha Jaiwar bagged 2nd rank in the National Power Point Presentation Competition held at M. P. Law College, Aurangabad, on 22nd Feb, 2013. Manik Pinjarkar, student of LL. B. IV sem. secured fourth position and Nausheen Saba, student of LL. B. VI Sem. secured fifth position in the Quiz Competition on Dr Babasaheb Ambedkar and Constitution of India.